"Loved going to Insight Vision. I had a great exam and even got some glasses. The personalized glasses fitting was my favorite part. I have never gotten glasses fitted so well in my life. Love the selection of frames and how quick they were done. I would definitely go back!!" "Dr Mark R Hanson is the BEST one to go to for an eye exam and glasses! I have never been disappointed. He is knowledgeable and knows exactly what you need. I highly recommend him.- Mary Eteo"
"Dr. Hanson is caring and always provides excellent care, as does his very knowledgeable optician!" "If you are looking for the best eye care, you need to visit Mark Hanson at Insight Vision. Best in Arlington." "Everyone is great at Insight Vision. All staff is very knowledgeable, friendly and helpful. Dr. Hanson is great, too. 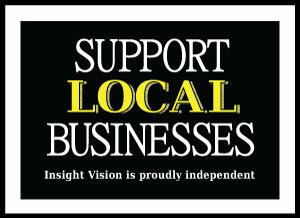 I highly recommend Insight Vision if you are looking for a great place for eyecare for you and your family."